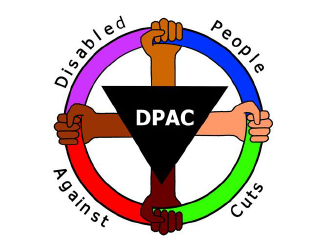 The Reclaiming Our Futures Alliance (ROFA), an alliance of disabled people and our organisations in England, is deeply concerned about DFID’s approach to disability and development cooperation. Many of our concerns are mirrored in the ICAI report. However, our concerns are sharpened because DFID is just about to announce the results of the procurement of a £27m Disability Inclusive Development (DID) programme which we believe is flawed in design, excludes disabled people-led organisation in the UK from participating and does not represent good value for money. The programme was designed by a team of non-disabled people in DFID and fails to meet the standards set out in the ICAI report, UN Convention on the Rights of Persons with Disabilities (CRPD) or even the Commitments from the Global Disability Summit organised by the UK Government only this summer. This is largely because no disabled people from DPOs in the South or North have been meaningfully involved in the design or development of this programme. Any involvement in the development of this programme has been with International Non-Governmental Organisations (INGOs) run and managed by non-disabled people in the North. This approach goes against the United Nations Convention on the Rights of Persons with Disabilities (CRPD). The CRPD is the only UN Convention to have been developed by the subjects of the treaty, based on the principle of ‘Nothing about us, without us’. We have been trying to get DFID to address its institutional disablism since the UK Government signed and ratified the UN CRPD a decade ago, but to no avail. We raised our most recent concerns with DFID last October but are not making any progress in affecting the design and delivery of the programme. DFID are offering to change the proposed governance of the programme to include some disabled people/DPOs. This does not meet our concerns as the end result of the procurement is that no UK DPOs will be involved in the delivery of the DID. The UK is failing to meet its responsibilities under Article’s 3 and 32 of the CRPD. Article 3 requires Government to involve DPOs: In the development and implementation of legislation and policies to implement the present Convention, and in other decision-making processes concerning issues relating to persons with disabilities, States Parties shall closely consult with and actively involve persons with disabilities, including children with disabilities, through their representative organizations. 2: DFID are aware of, but are choosing to ignore the findings of DFID’s own research and programme work in the Disability Knowledge and Research (KaR) programme which emphasised the need to engage with DPOs in the South and North and the problems associated with disability programmes being led by INGOs. 3: DFID have made no changes to the programme as a result of the ICAI report and recommendations. 4: The frustration of UK DPOs is made worse because of the valuable contributions we were able to make before being excluded in 2008 from DFIDs disability and development cooperation programmes. UK DPOs would much rather be addressing the poverty, human rights and equality issues of disabled people with and through DFID rather than challenging their approach. We have referred this procurement process to the EHRC as we feel it is not compliant with the Equality Act. We are also writing a Shadow Report to the UN Disability Committee for the review of the implementation of the concluding observations recommendations, which will include our critique of the DID programme. The programme as it is planned is deeply flawed and excludes UK DPOs from being part of the delivery. The recipients of funding will all be organisations which have failed to mainstream disability in their own organisations and are, like DFID, institutionally disablist. 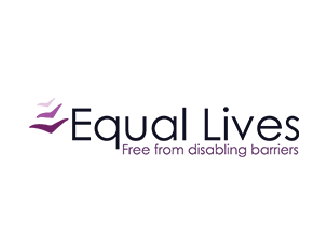 The new proposals relegate disabled people and DPOs to an ‘advisory role’ to charities FOR disabled people, INGOs and the private sector who will receive the funding to deliver the programme. This would be like giving all the funding for a women’s equality programme to an organisation run and delivered by men and asking women to sit on the advisory group. The approach adopted also fails to address the recommendations in the Concluding Observations of the UN disability committee, August 2017. We have requested the suspension of the DID procurement process to address the institutionally disablist structure of the programme to make it compliant with the CRPD articles 3 and 32 and ‘nothing about us, without us’ and time to address the recommendations in the ICAI review and the 2004 Parliamentary International Development Committee. 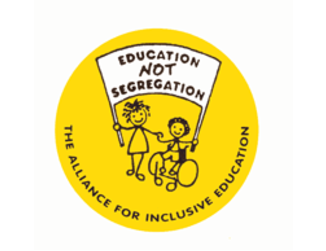 Following the Global Disability Summit and the commitments made by the UK Government this is now a demand. 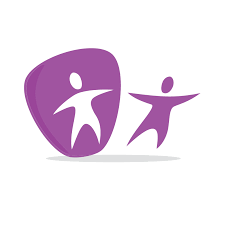 ROFA have put forward alternative proposals (supported by Southern DPOs) to work with UK and Southern DPOs to establish a UK version of the Disability Rights Fund (DRF), based on and learning lessons from the Scandinavian model and existing DRF. Scandinavian Government’s support their domestic DPOs to engage in development cooperation through DPOs in the South. This fund will support DPO – DPO collaboration between southern and northern DPOs and partnership working to realise the SDGs. Unfortunately these have not been taken up. ROFA have also offered to assist DFID address and implement the recommendations in the ICAI review but to date this has not been taken up.